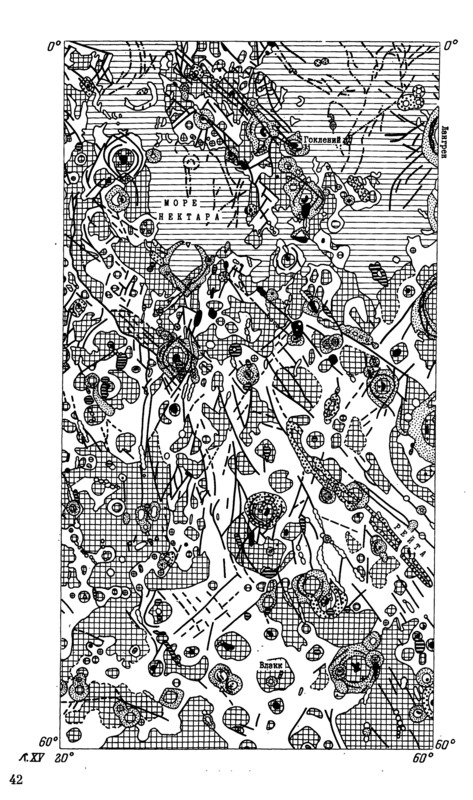 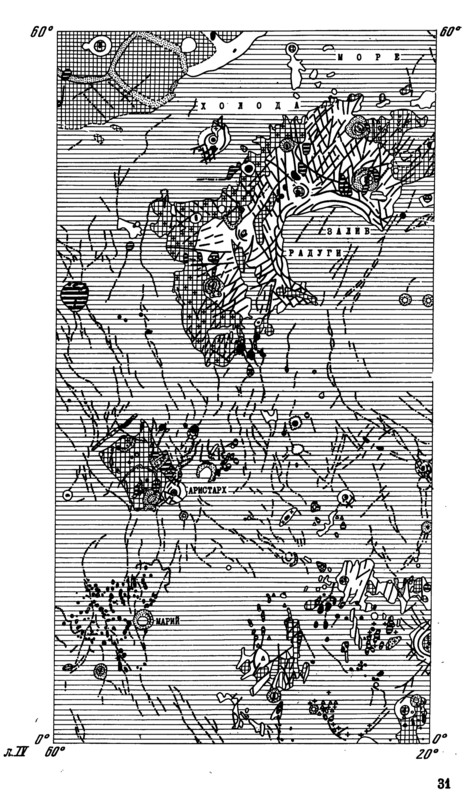 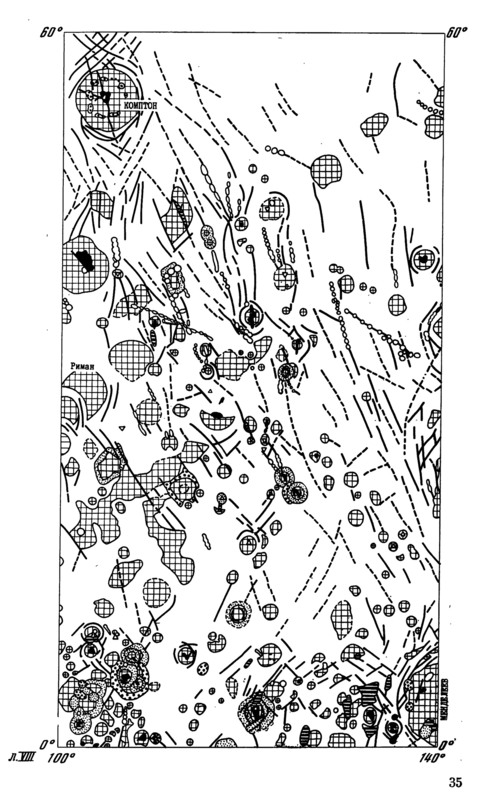 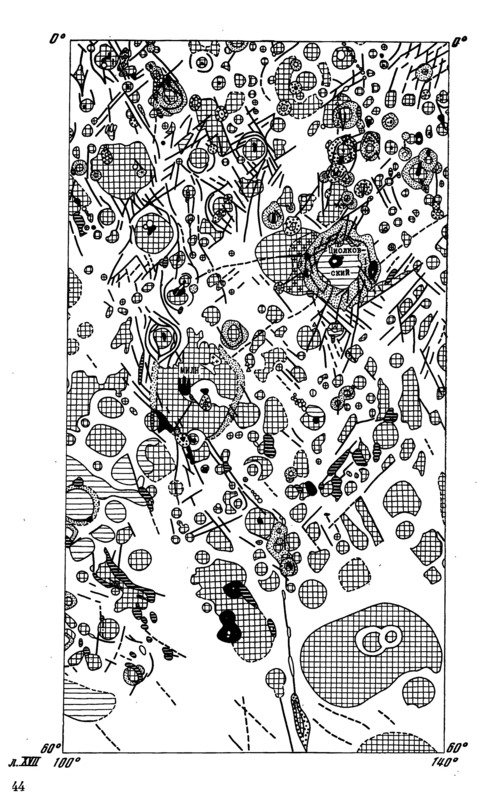 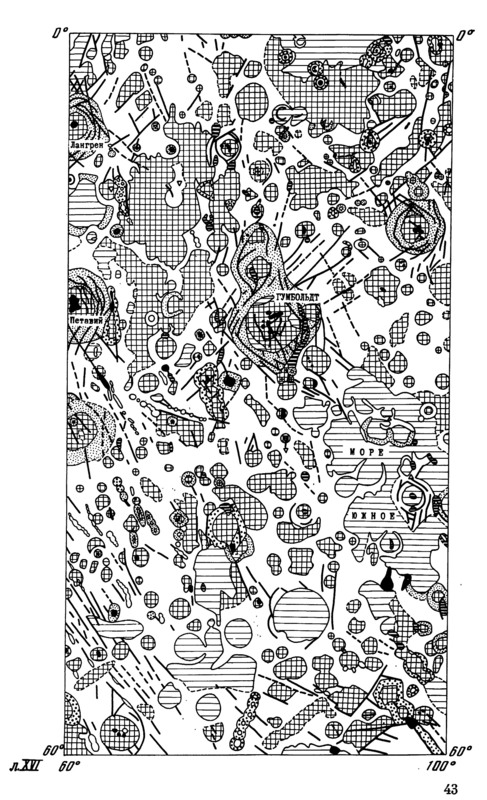 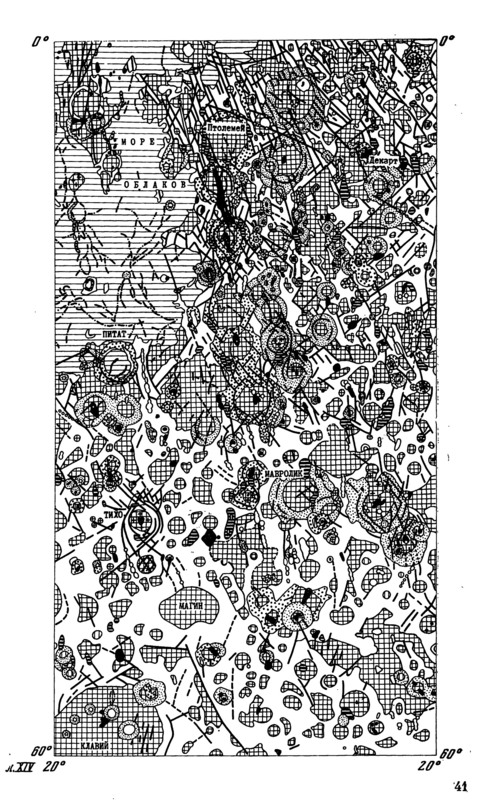 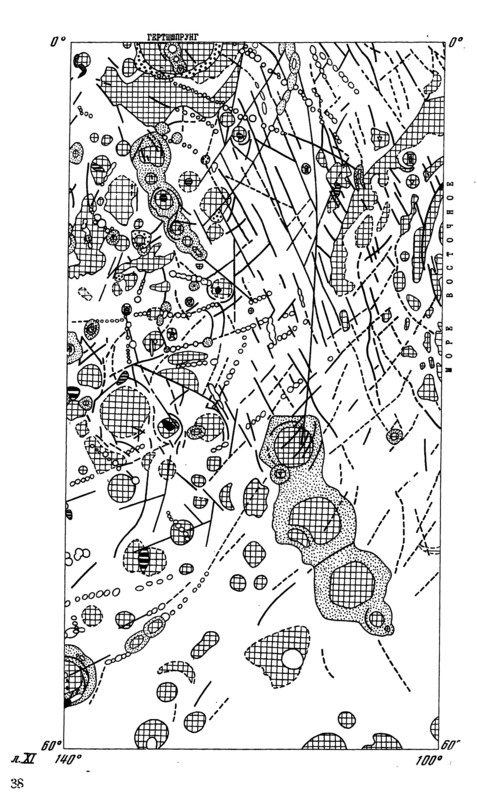 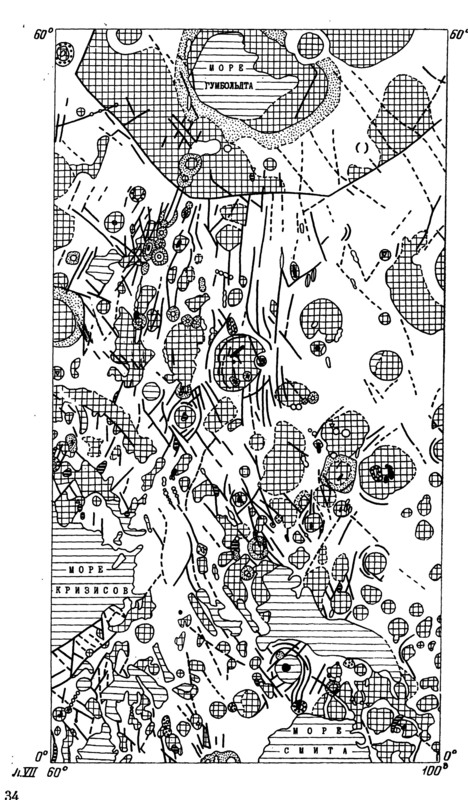 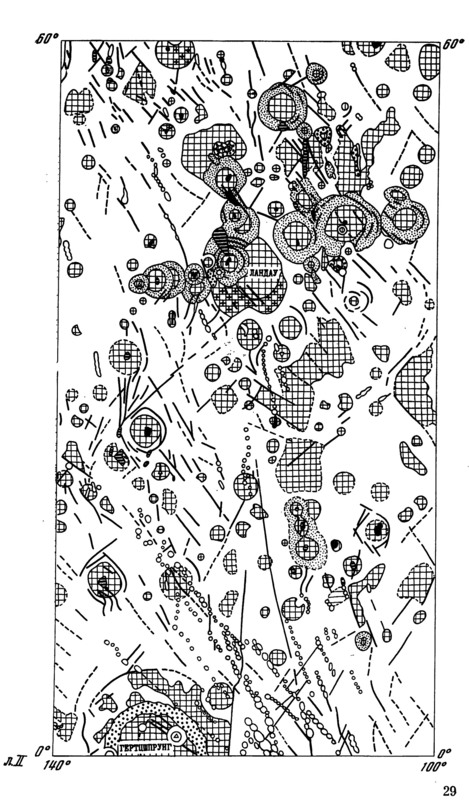 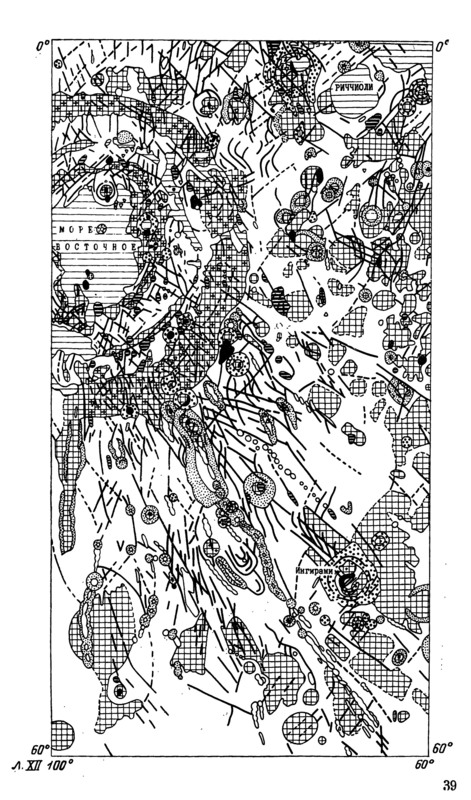 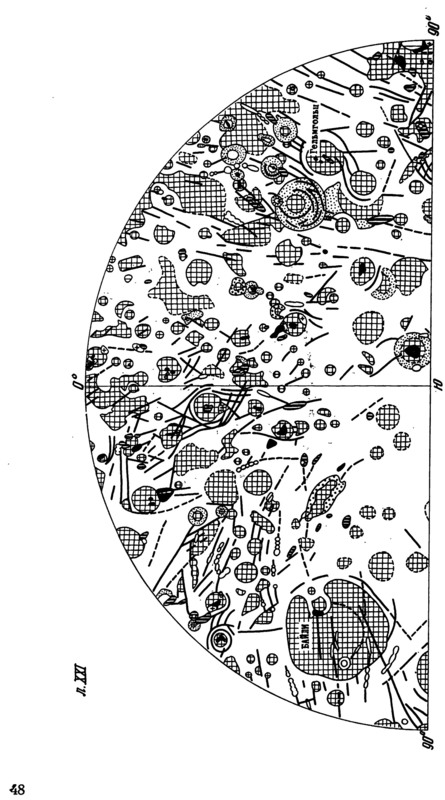 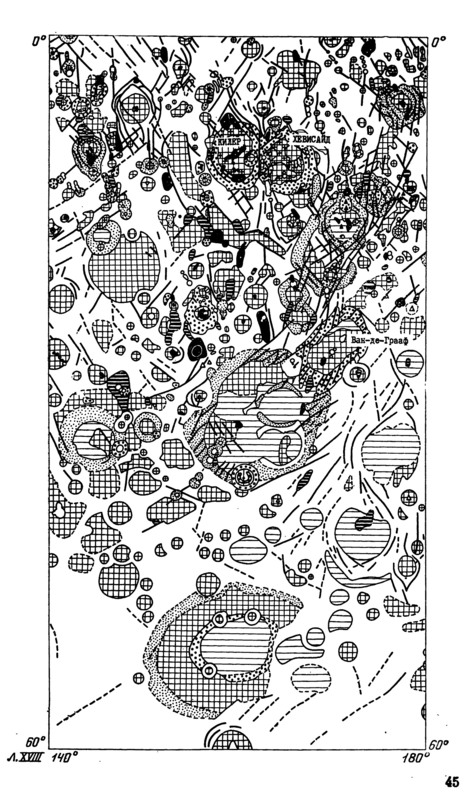 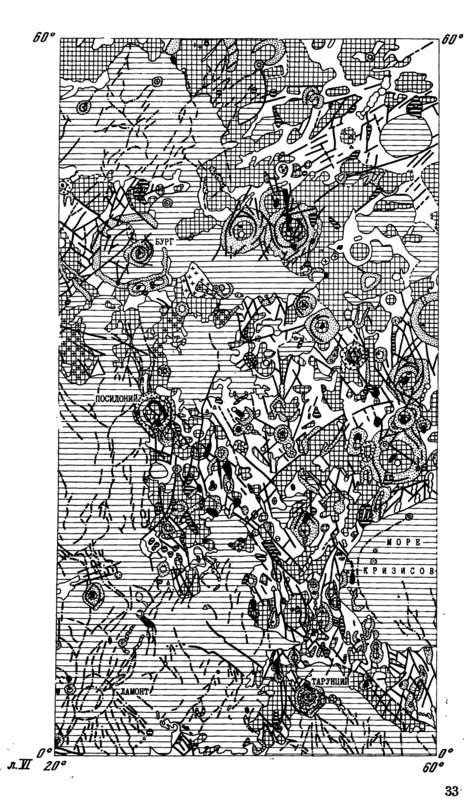 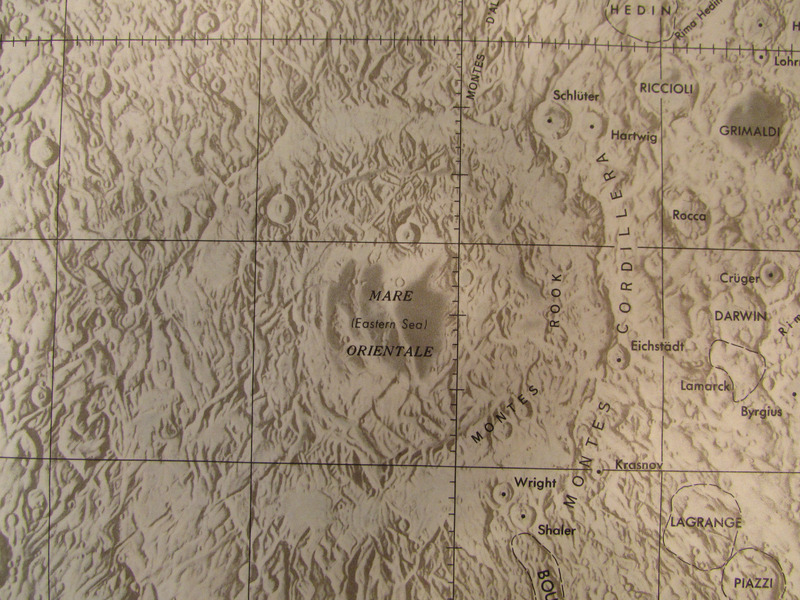 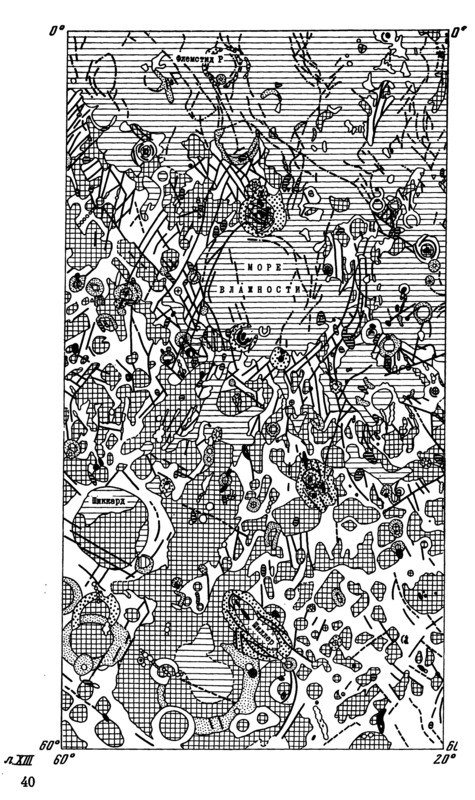 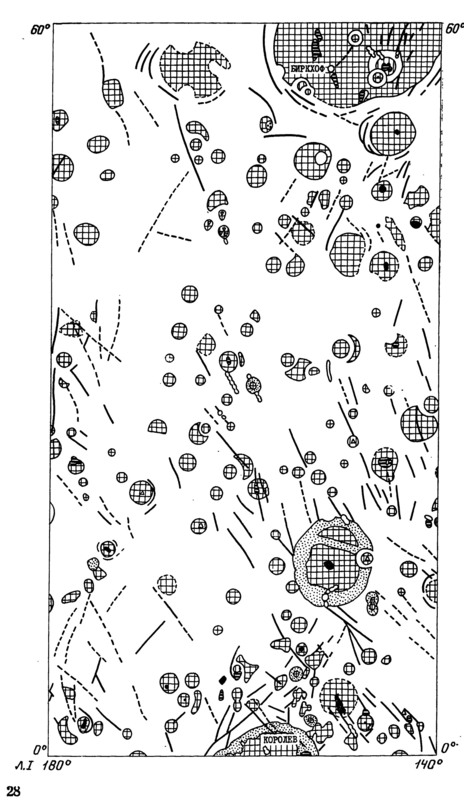 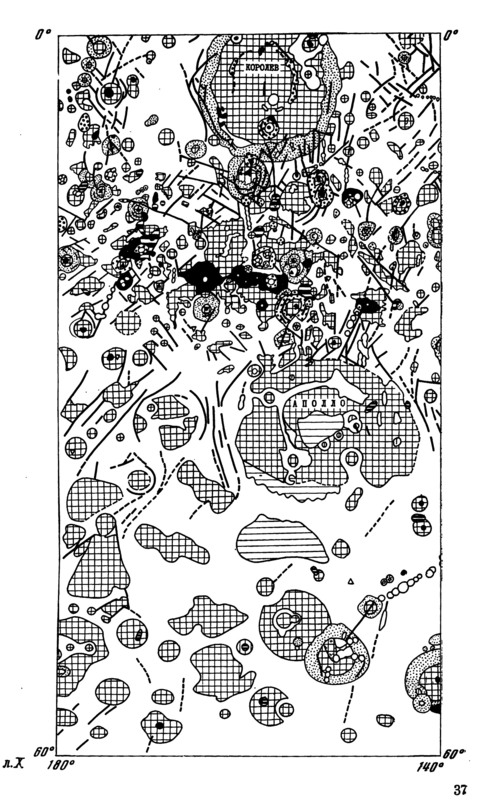 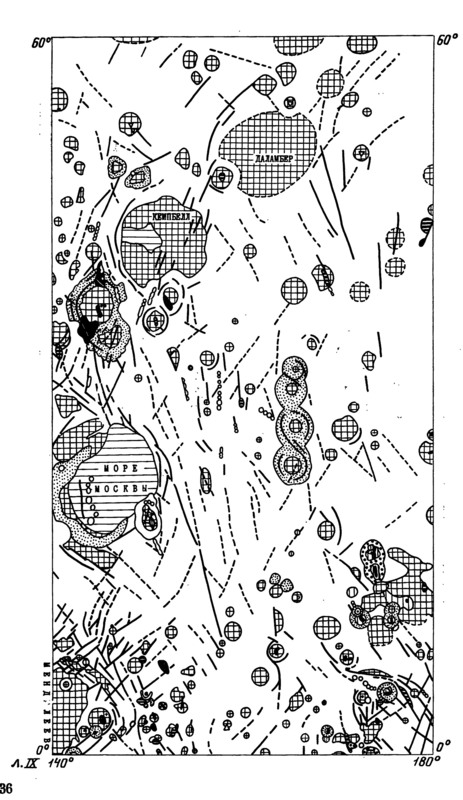 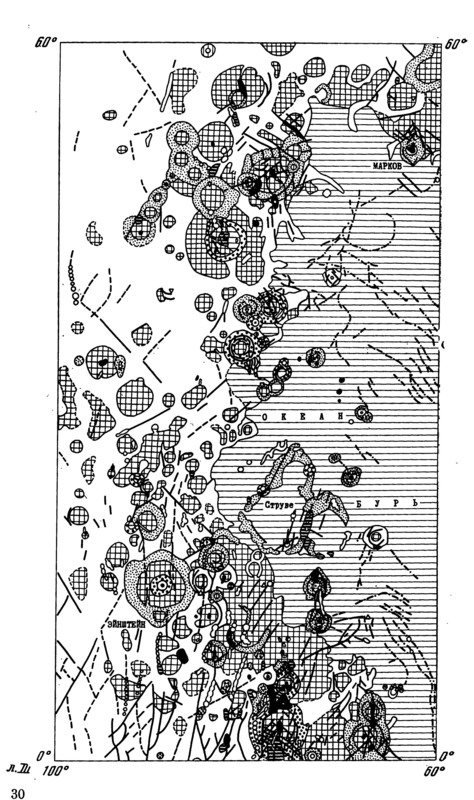 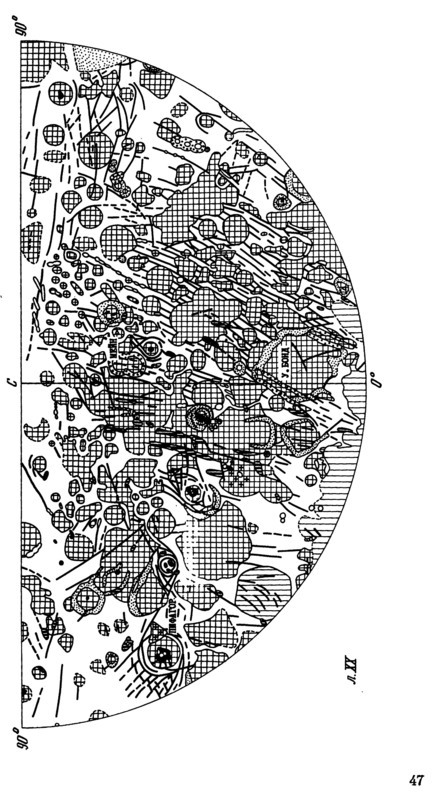 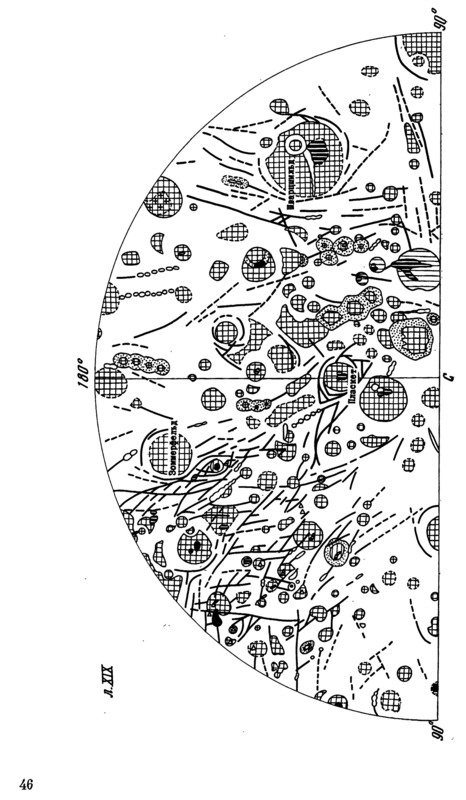 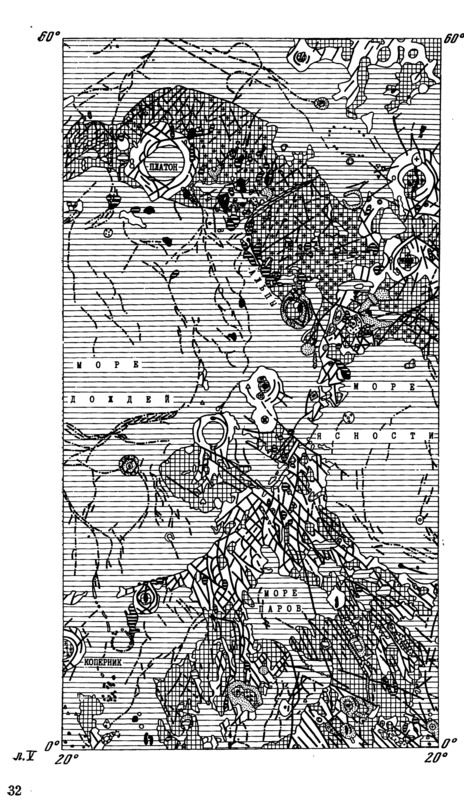 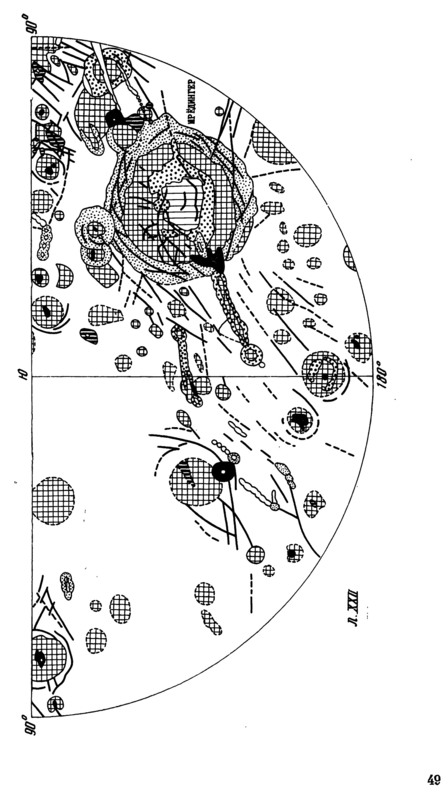 Image source: Atlas of Terrestrial planets and their moons, MIiGAIK, 1992. 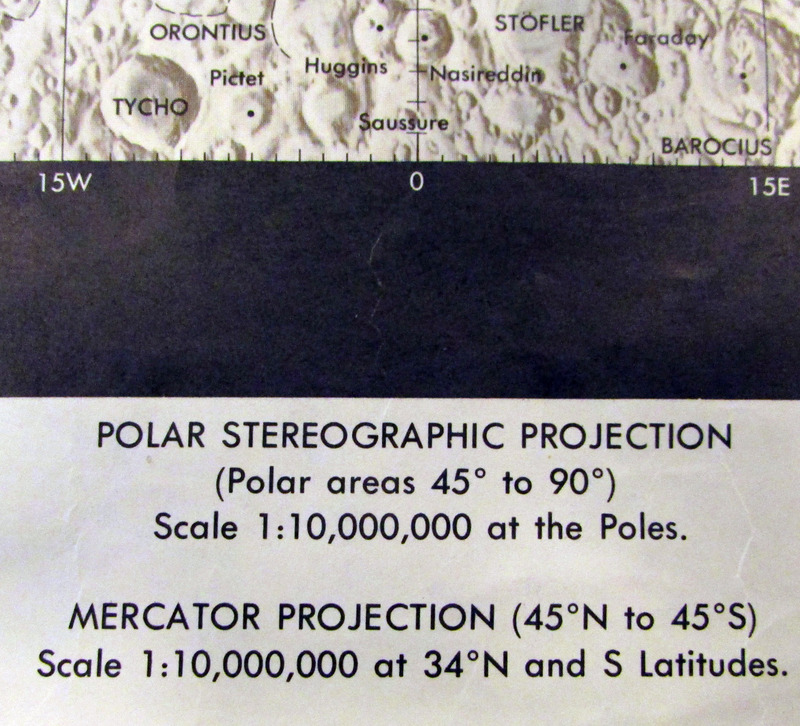 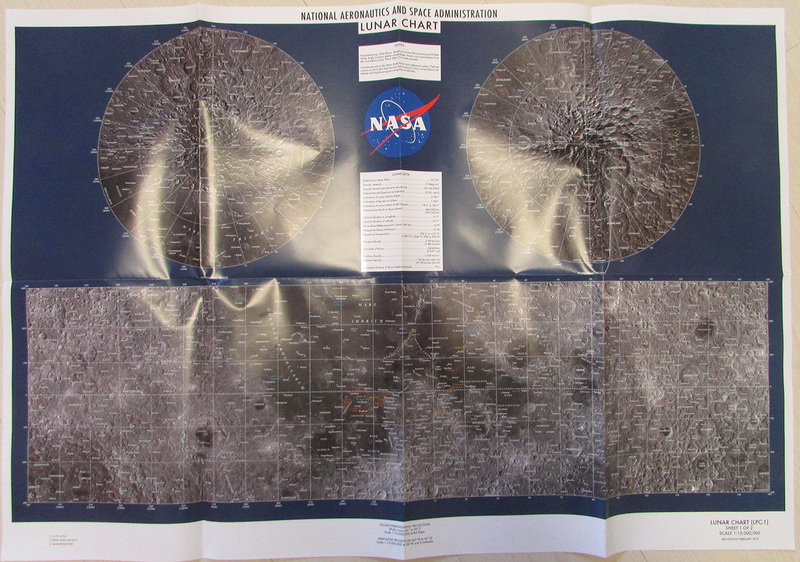 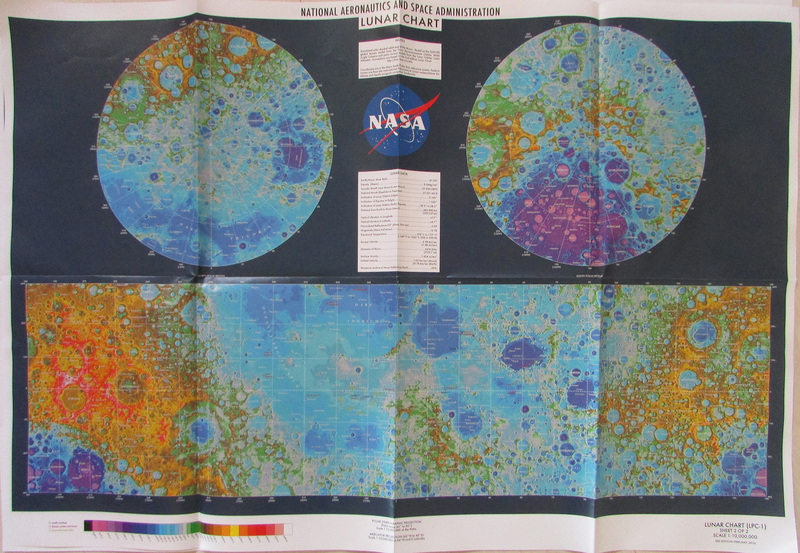 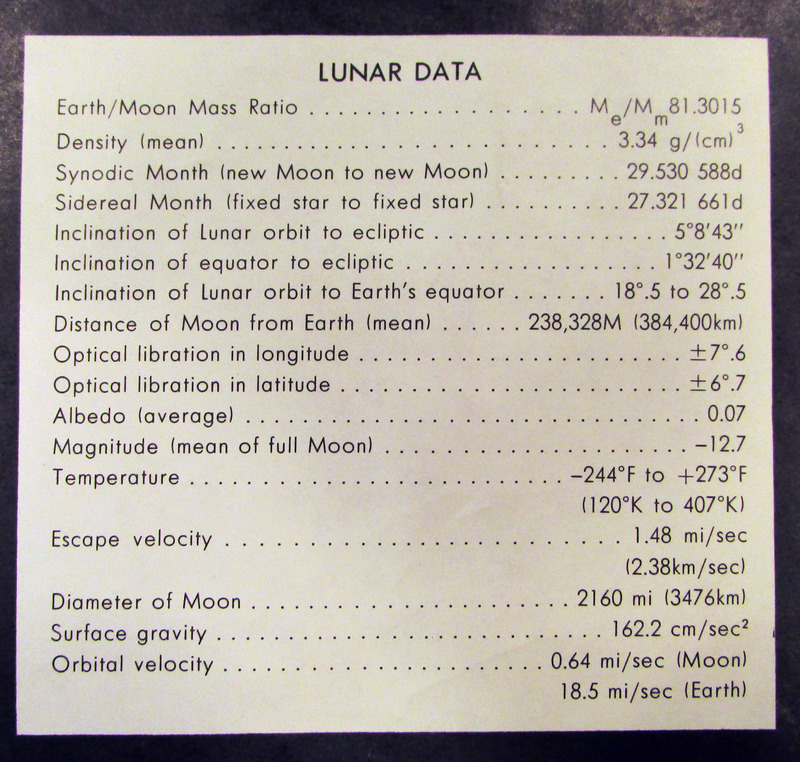 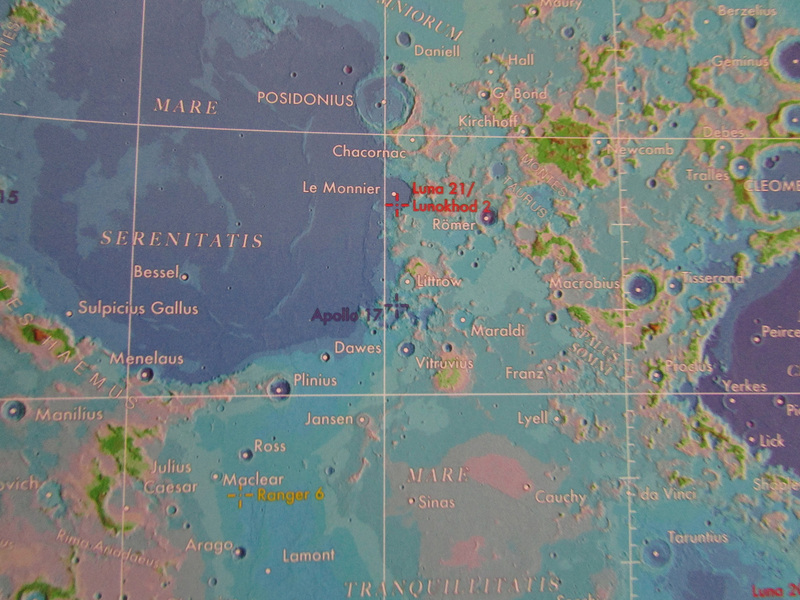 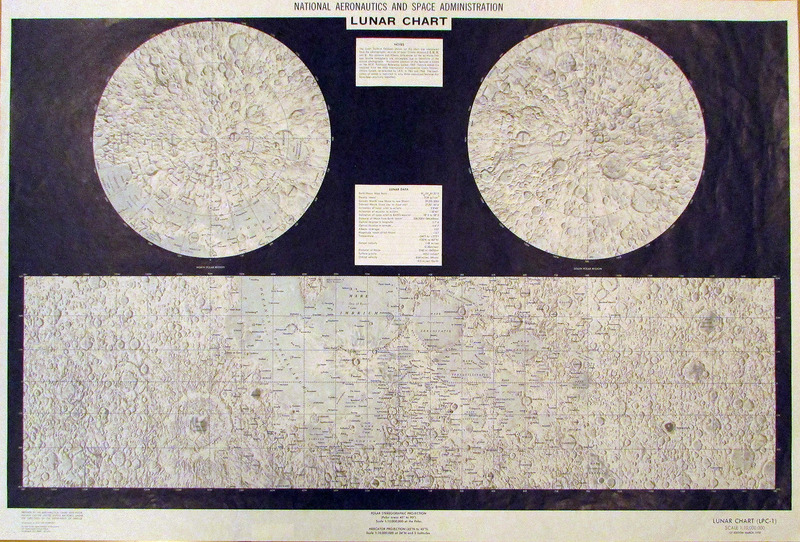 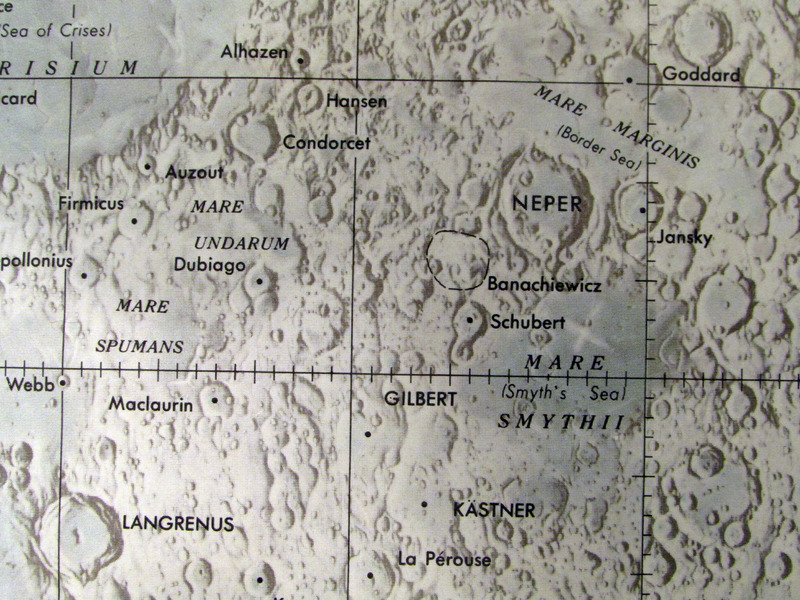 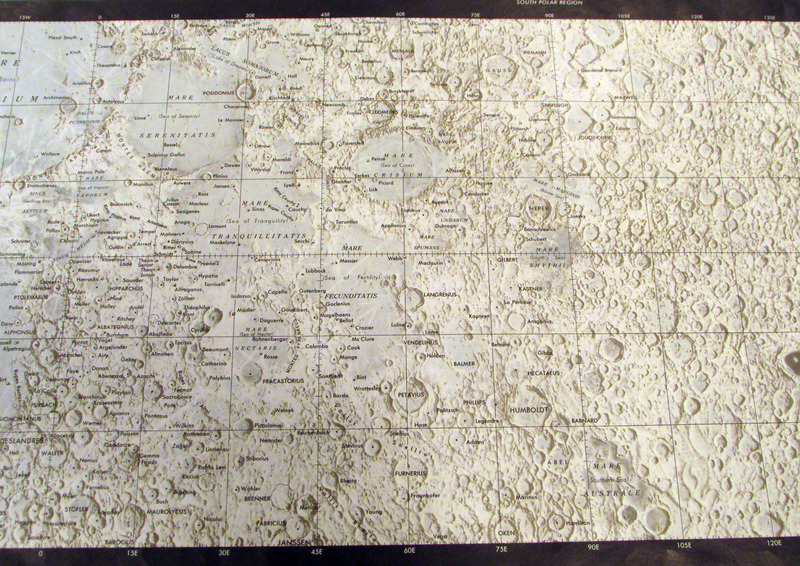 LPC-1 was mosaicked from three 1:5M LMP-series charts (Lunar Earth Side, Far Side, Polar Charts). 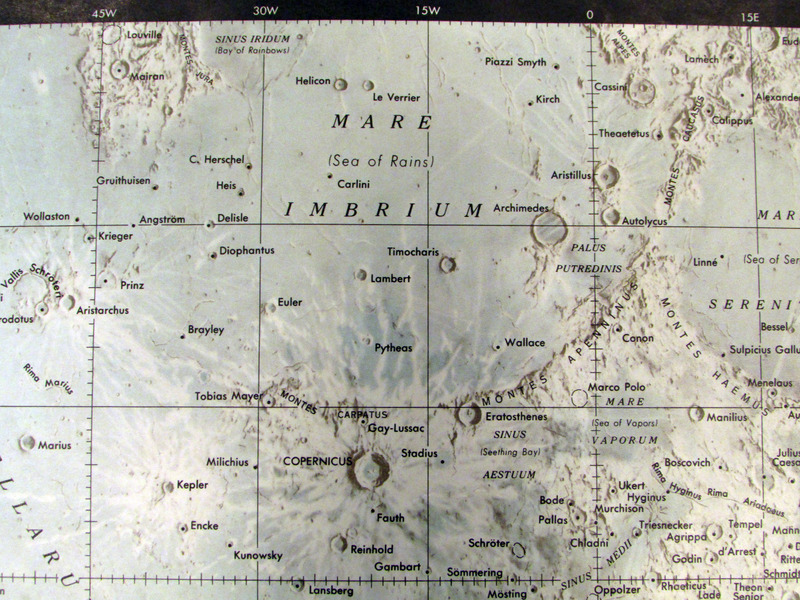 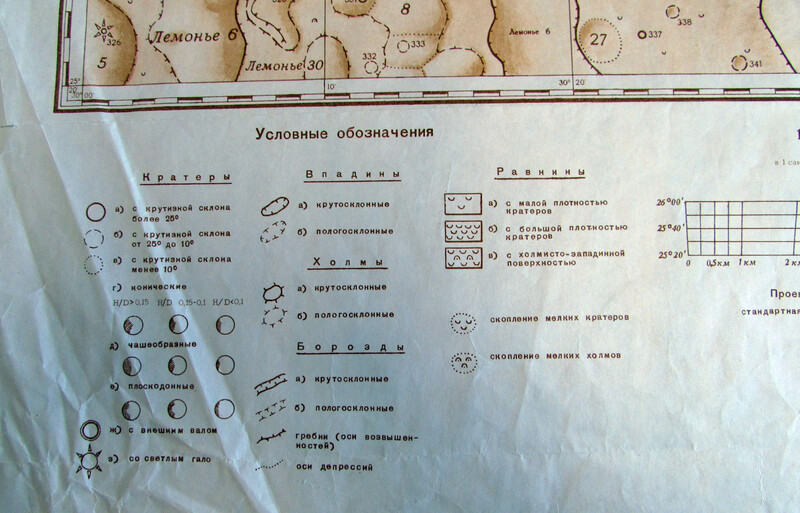 This edition contained the English names of major features that were removed in the next edition. 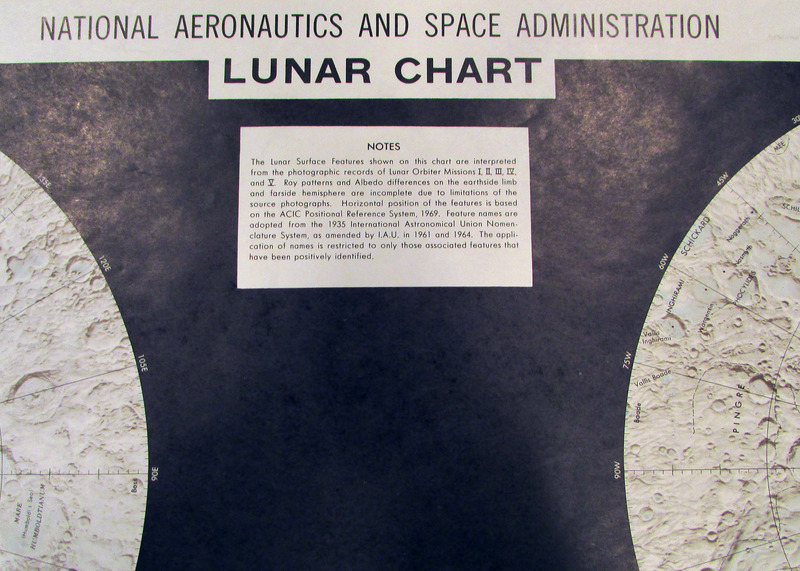 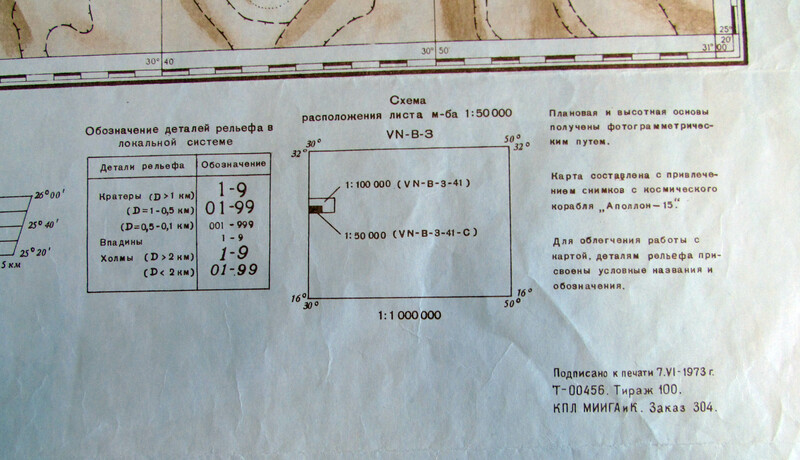 It did not contain any landing sites yet. 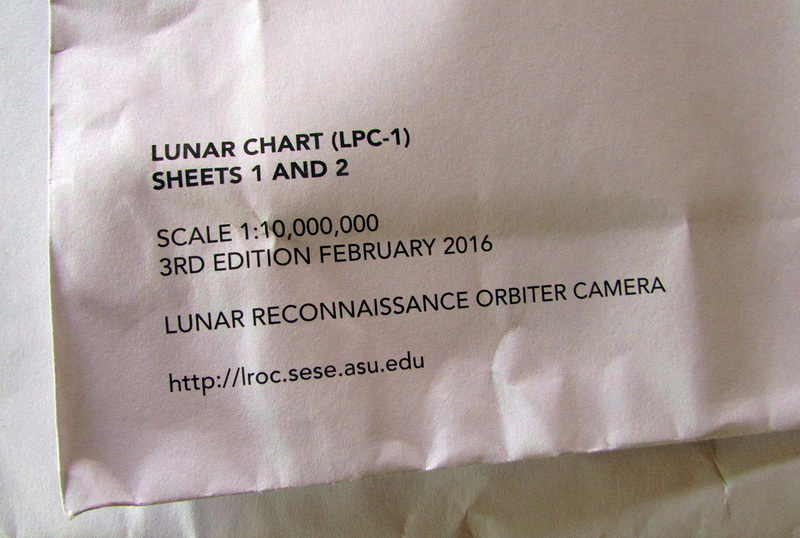 LPC-1 did not display any NASA logos. 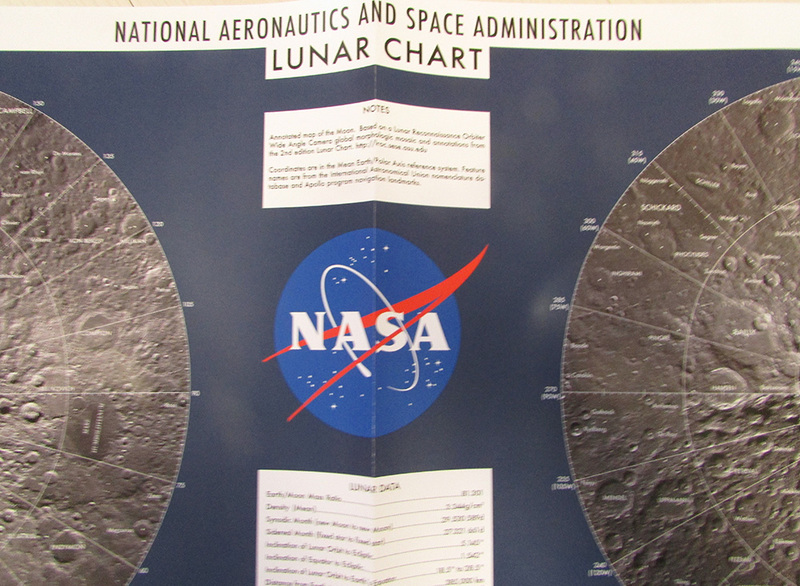 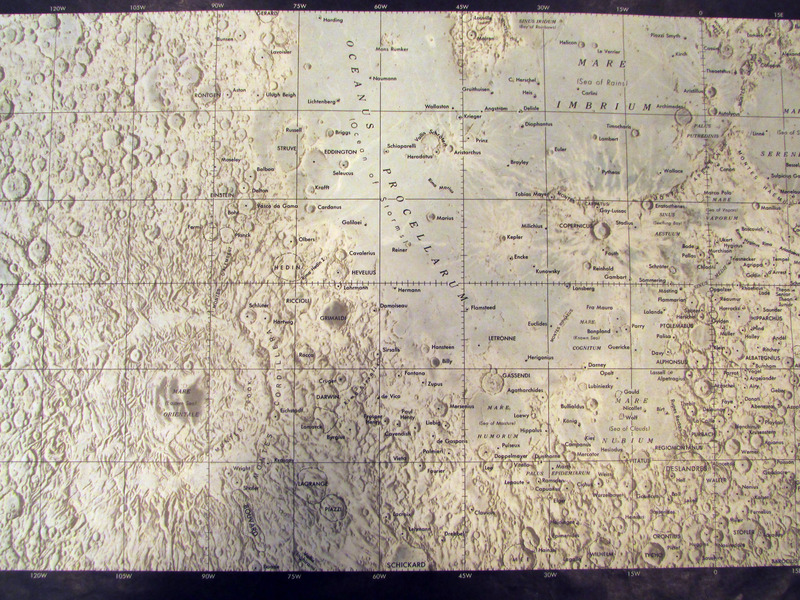 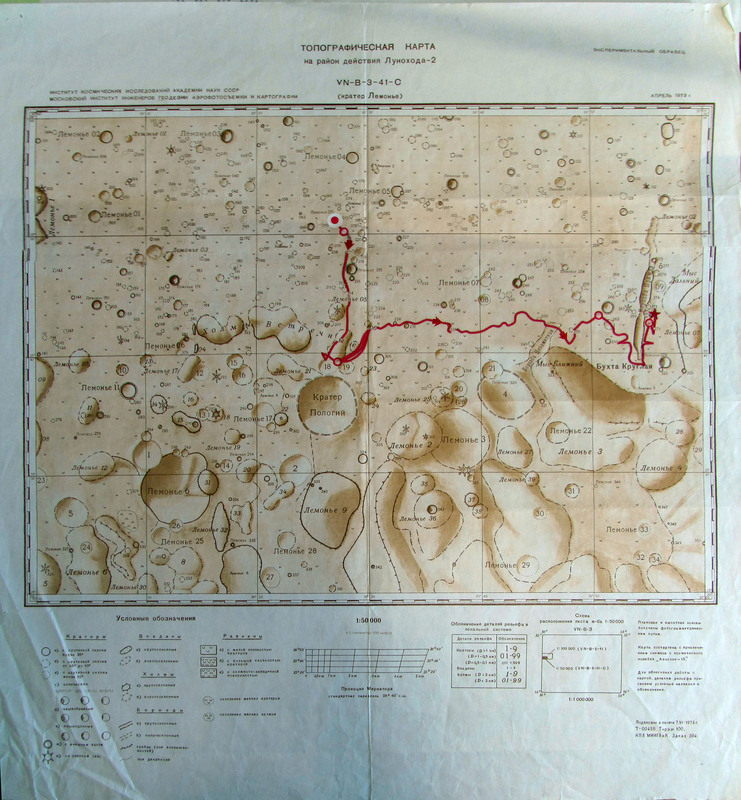 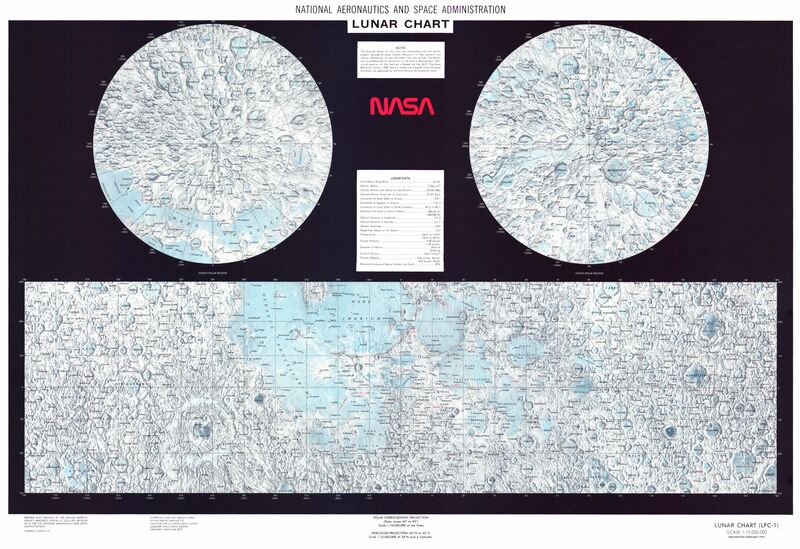 Fun fact: This map shown above, sold for $16,100, was signed by a member from each Apollo crew that either flew to or landed on the Moon during missions that occurred between 1969 to 1972, the last year of the manned lunar program.